The old adage amongst Cubans is No Es Fácil. These words aren’t as simple as the English translation implies. The root meaning behind this is very much ingrained in the Cuban culture and people. You hear it pretty frequently when you frankly speak directly to its people: not the ones negotiating chachkies at a significant markup or $60.00 car tours for 15 minutes but the natives who are very open to discuss their way of life. It is fundamental to the people as blue denim jeans are to Americans and rice is native to Asian culture. I think for many, the allure of Havana is seeing the contrasting time periods colliding before your eyes. You wake up and jump into an Uber in your modern city and five to eight hours later, you’re exchanging your dollars into a foreign currency not available in the global market and hopping onto a 1959 Chevy taxi. The city is very much a time capsule of an era we’ve only seen in episodes of Mad Men and movies long gone. I recently took a 5 day trip to visit Havana, Cuba with my younger brother, exploring the glamour of Havana as well as venturing out into the countryside of Viñales, Cuba, about a 4 hour drive outside of mainland Havana. My background isn’t in journalism or in any liberal arts but I felt compelled to document my experience here unlike other places I’ve been to, as best as I could. It is a unique opportunity to combine my two passions of writing and photography into a travel essay. Additionally, I do feel it is important to cognizant of the Cuban/American relation and understand why many Cubans fled their homeland to come to the United States and have deep resentment to the old and/or present regime. With that being said, this is my photo essay from having spent time in a country I was fascinated about. Cuba was always a travel checklist. Growing up, I’ve only read about it in negative light so it was either propaganda or it was as magical as Hemingway made it out to be. The education system I was brought up in certainly didn’t do the former any favors. I was motivated to find out and form my own conclusions and I hope that you find this read informative and the images captivating enough to pay the country a visit. Classic cars like these are as abundant as yellow cabs are in New York. Although not the national sport, fútbol is very much ingrained in the youth and its culture. I once traveled deep into Portugal and some uncertain parts of Central America and Asia with my tripod, near $9,000.00 in camera equipment, iPhone and other valuables. During that time, there was an eerie sense that I was being watched and it was probably not the smartest thing to do, walking around alone with this much in valuables when my instincts pleaded with me not venture into these neighborhoods. Now, I am in no way am I implying that these short lived experiences were representative of the country or its people: contrary, it allowed me to become a more educated and informed traveler as I hone my photography skills. However, after spending 5 days in Cuba with equally the same amount of valuables as I had before, I can confidently say, there was not a moment of concern in my mind. I had never felt more welcomed, safe and invited than I had in Cuba. The Cuban people are quite simply fascinating. What they lack in American, chemically pumped consumer goods they make up for in abundance through their music, resourcefulness (evidenced by the lack of genuine replacement parts for their vintage cars and having to make do with what they can) and unrivaled humility. In many ways, the limited access to online content we’ve become accustomed to and which we complain about over family dinner tables allow the Cuban people to interact with one another without the distractions of modern norms. They have an immense pride in their country and love to educate you on all things Cuba. A smile will get you a long way here in Cuba, especially if you aspire to photograph it’s people.. Shortly after the Cuban 1959 revolution, the late Fidel Castro enacted one of the most ambitious literacy campaigns in modern history to improve the literacy rates of Cuba, from Jan. 1st 1961 to Dec. 22nd 1961. During this time, 707,000 Cubans became literate. At the end of the campaign in 1962, the literacy rate in Cuba was near 96%. As an American visiting Cuba for the first time and with a limited Spanish vocabulary, getting around and speaking to natives in my native language was a nonissue. Food for me is a natural priority while traveling; it is one of my most cherished experiences and I try to enjoy it without documenting every bit of it. It’s a moment for myself. Unfortunately, the expectation was set pretty low if you google food in Cuba. Fortunately, everything I had tried was more than tasty and naturally, some of the signature dishes were absolutely delicious. My recommendation would be to try the local paladares in lieu of the gov’t run restaurants. You are definitely going to get more bang for your buck and more importantly, you’ll be helping the privately-run businesses thrive. If you’ve ever been to Times Square or Hollywood Blvd, you’re probably accustomed to panhandlers or locals offering you everything imaginable. It is no different to the greatest commodity and solicited item for which tourists visit Cuba: cigars. You’ll be tempted to take advantage of the Cuban cigars from the locals who pitch it to you. Similar to Times Square or Hollywood Blvd, if you venture outside the main tourist traps, you’re going to naturally get value. Enter Viñales, Cuba. 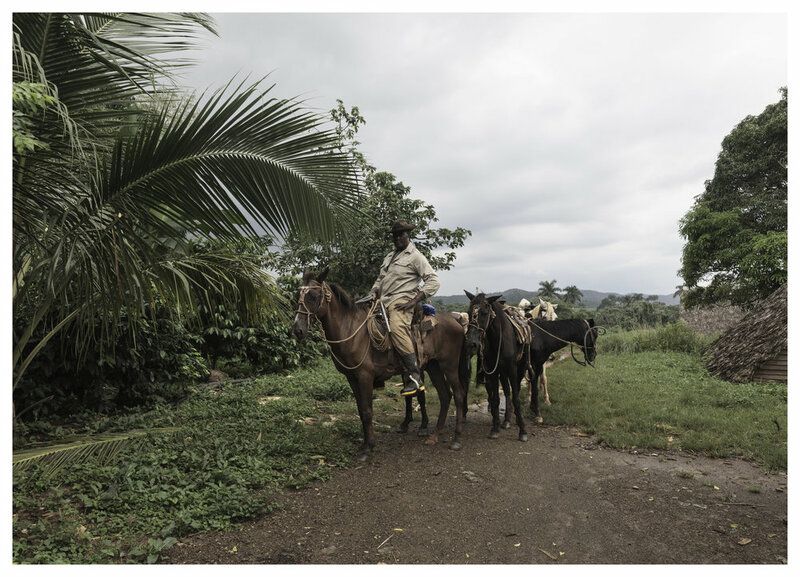 Viñales is a four hour drive outside Havana and is best known for growing tobacco in traditional, unblemished methods. It is also recognized as a World Heritage Site by UNESCO. When the Spanish conquered Cuba, they failed at harvesting other goods until they realized the tremendous economical potential of tobacco and the climate in which it can thrive in Cuba. The tobacco trade in Viñales is a sight to see, especially in the Pinar del Rio province where we went. There are many farmers who make their living off it and one such farmer, Benito Carnejo Nodarse of Benito Farms, was where we ventured into. 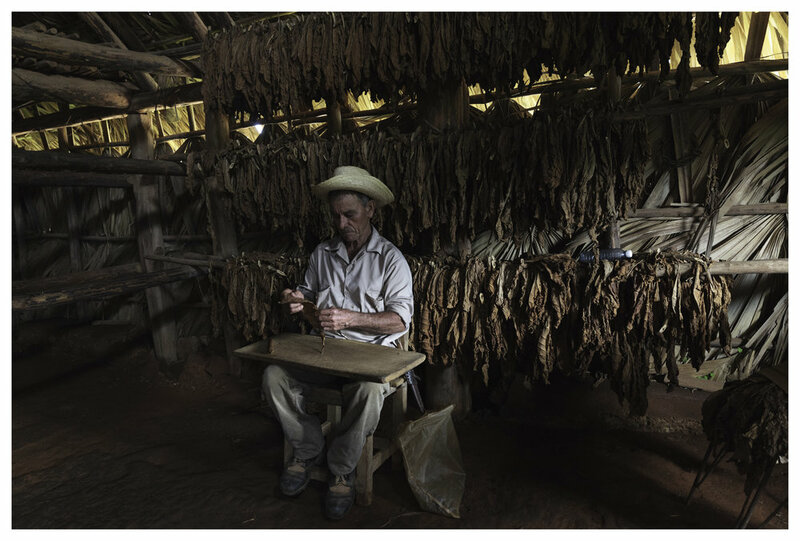 The Benito tobacco farm has been growing tobacco for five generations, mastering the art of drying the leaves for 3 months inside a tobacco barn. As are most tobacco farms in Cuba, Benito’s farm is less than 25 acres and 90% of the production is sold to the government with the remainder allowed for fumar aka personal consumption and sold freely. We bought the maximum 50 allowed back to the states. Suffice to say, there will have plenty of fumar opportunity on special milestones in the city of bright lights. After five days in Cuba, I was on the plane ride back to JFK when the idea of this photo essay came to me. In between a full time career in finance and life living in New York, the inspiration to do one before never hit me in all my travels. I left leaving with what I surmised was my best natural work to date. 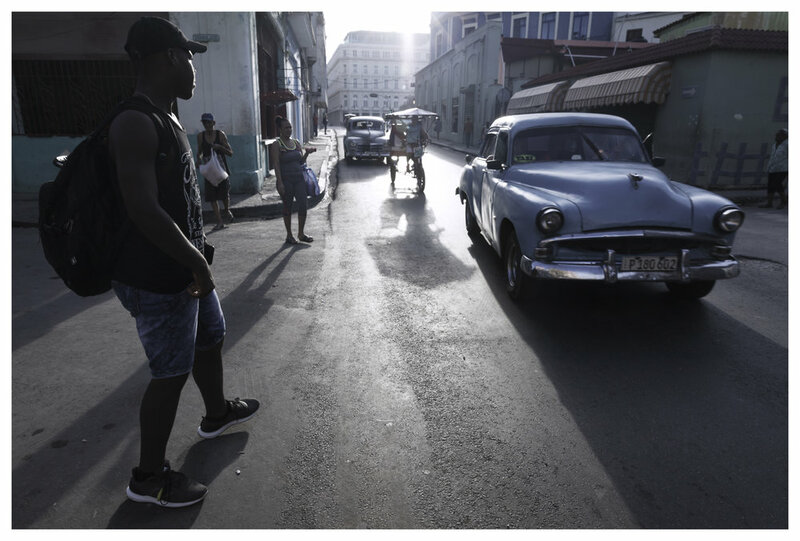 The shadows and highlights accentuated by these narrow Havana streets, iconic cars and the strangeness of being back in time was captivating. On the ride back, I reflected back to my life at home and the realities of my privilege. The quality of my life. The access to information at a moments’ notice. A career in finance I’ve worked to build for over 12 years. Family. Friends. Relationships. I am grateful for all that I have back home. In that same context, I’ve never thought having more money meant less stress and more happiness. Being an American, the pursuit of more has always been foundational to our inception: expansion out west, greater military, more money, more cars, better clothes, bigger house, healthier eats, etc. As an American myself, I can’t say that I don’t fancy the incredible delicacies that the masters of cuisines have spent their life curating and these said privileges. After speaking to a number of Cubans however, I also can’t say that their way of life feels incomplete. They are well aware of our privileged lifestyle, from our arts to the latest celebrity gossips with everything in between but they don’t seem to live a life lacking happiness. I came away humbled in the life that I have. That my friends have. My family has and my siblings will have. Life in Cuba is a hustle. The struggle is very, very real but at the same time, they were content yet far from complacent. There was an unnatural beauty in the simplicity on how they conduct daily business. They seem to thrive in a life that seems extremely foreign to an American like me. It is true: No Es Fácil. The Spanish influence of the colors and architecture is alive even after 400 years of independence.